Michelle Obama blamed for Overweight Kids Being Bullied? The National Association to Advance Fat Acceptance held a press conference last week in effort to pass a bill on protecting overweight children from being targets for bullying. Public Relations Director, Peggy Howell believes our First Lady, Michelle Obama is a hypocrite for creating a program to eliminate childhood obesity; as it empowers bullies to target children who are overweight. Surprisingly, Ms. Howell provided misconstrued information & statistics in a huge effort to deflate the “Let’s Move” campaign. SusieQ gives you an investigative report at the Adam Clayton Powell State Office Building! Let’s Move initiative is focused on raising healthy children. 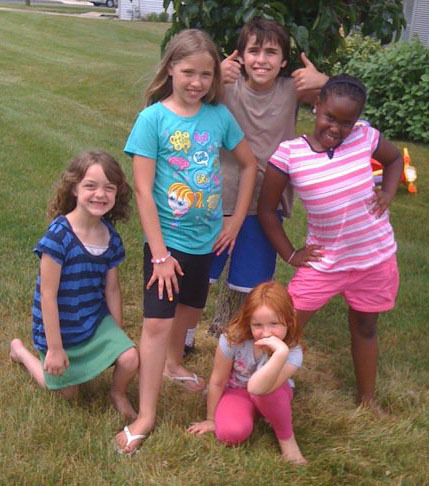 ALL children of all sizes have been encouraged to “move” through fun activities and incorporating healthy eating habits. No child is turned away from the program. Many fitness professionals & health organizations have been involved or affiliated with Let’s Move, such as the City Gym Boys, Boys & Girls Club of Harlem & the www.FoodFun.org makes food fun for kids with educational games. Howell: The weight of our nation’s children has been stable for 10yrs. Suffering from type 2 diabetes is rare in young children? CDC: • Detecting type 2 diabetes in children can go undiagnosed for a long time due to symptoms. • Diabetes is one of the most common chronic diseases in children and adolescents; about 151,000 people below the age of 20 years have diabetes. • Each year, more than 13,000 young people are diagnosed with type 1 diabetes. .
• Health care providers are finding more and more children with type 2 diabetes, a disease usually diagnosed in adults aged 40 years or older. • The epidemics of obesity and the low level of physical activity among young people, as well as exposure to diabetes in utero, may be major contributors to the increase in type 2 diabetes during childhood and adolescence. 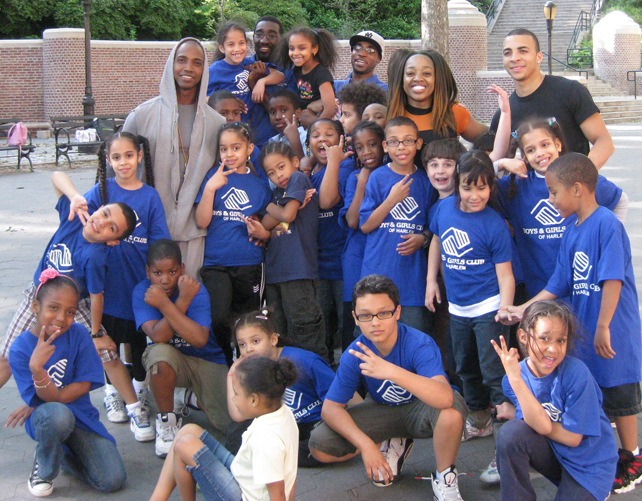 Boys & Girls Club of Harlem, The City Gym Boys & SusieQ FitLife! Brandon Macsata, Executive Assistant concluded that he is upset that gay men’s eating disorders are not addressed in the “Let’s Move” campaign for children. He believes that dieting is the true epidemic. Fortunately, the www.LetsMove.org site provides simple, healthful tips & step by step strategies that anyone can follow! The Farmington Fit Crew is Inspired 2 Move with SusieQ FitLife! The prevalence of obesity in children is rising & a range of chronic diseases, including heart disease, and stroke, can also be prevented. Watching six, plus hours of TV can reduce life expectancy by 5yrs. Learning healthful habits will only benefit a child greatly in the long run. The Farmington Fit Crew became motivated to “move” with the Beyonce’ Move Your Body music video by the City Gym Boys & The Boys & Girls Club of Harlem!Let’s Move inspires! Ultimately, there should be a no tolerance policy for bullying; however, it has been in existence before Let’s Move began. SusieQ is creating a “Watch Your Mouth & Get a FitLife” campaign 2012! Stay tuned to the next video release addressing the nutritional aspects that Ms. Howell mentions regarding 12yrs old children! You don’t want to miss it! Get a FitLife! Excellent report SusieQ! Thank you for setting the records straight. Thanks for the mention of the Farmington Fit Crew also! We are honored! You are awesome! Lady Gaga, RollingOut Magazine & SusieQ-TIPS!